Ring in the holidays with the latest talk-free edition of our BluesPowR Radio Hour, featuring sounds of the season from the Paul Nelson Band and the Rev. Jimmie Bratcher plus music from Colin James, Muddy Gurdy, Matt Andersen, real-life son of the blues Joseph “Mojo” Morganfield and more. Here’s wishing you and yours the happiest of holidays and a healthy and prosperous new year filled with the blues of only the musical variety! 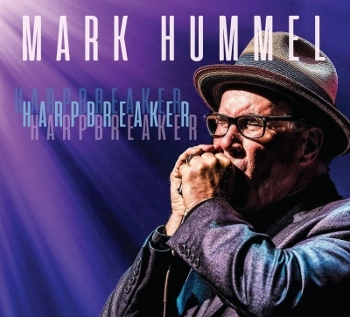 We don’t write about a whole lot of all-instrumental albums here, but harmonica player Mark Hummel‘s latest release Harpbreaker (Electro-Fi Records) is one that’s really too good to let pass without mention. A mix of newly recorded, live, previously issued and a good number of unreleased tracks chosen by Hummel, the album includes a baker’s dozen of tunes ranging from such classics as “See See Rider”, “Cristo Redentor” and “The Creeper Returns” to originals like the swinging opener “Harpoventilatin'” from a 2005 show at Yoshi’s in Oakland, California; a spunky, washboard and percussion-accented “Billy’s Boogaloo” recorded just this year; and the jazzy, swaying “Ready, Steady, Stroll!” from 2009’s RetroActive sessions. Because the tracks come from a number of different sessions that took place during the past decade and a half, Harpbreaker features a rotating cast of supporting musicians on guitar, keyboards, drums and horns in addition to, and sometimes in place of, Hummel’s regular band members R.W. Grigsby on bass and Wes Starr on drums. On guitar, those guests include such well-known players as Anson Funderburgh, Little Charlie Baty, Kid Andersen, Billy Flynn and Rusty Zinn, with keyboardists Bob Welsh and Mel Brown and drummer Marty Dodson among the other contributing musicians. That variety of players, along with some superb song selection, help make the tracks all different enough not only to keep things interesting but make Harpbreaker one of the best instrumental albums we’ve heard in some time, and, indeed, one of the best albums of 2018. We’ve talked here before about the Music Maker Relief Foundation (MMRF) and its good works in helping Southern musicians in need. 2019 is shaping up to be a particularly exciting year for the organization, which will celebrate its 25th anniversary with several new projects, including a graphic novel; a book and museum exhibit of tintype photography by MMRF president Tim Duffy; and a companion compilation CD all scheduled for release during the first half of the year. Sticking with the UK flavor of our last review (Ian Parker’s album paying tribute to blues great Willie Dixon), today we’re discussing the eponymous debut album from a new four-man band called Jawbone (who take their name from a song by The Band). 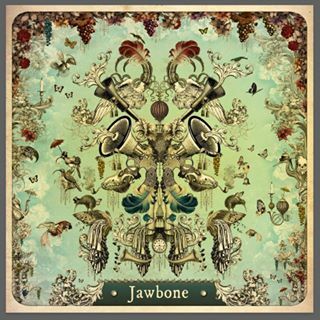 Formed by guitarist Marcus Bonfanti and keyboardist Paddy Milner, both of whom have had some nice success on their own, Jawbone also includes bassist Rex Horan and drummer/percussionist Evan Jenkins. Bonfanti and Milner share primary vocals, with Milner’s smooth, often jazzy delivery nicely balancing Bonfanti’s gruff voice to create the aural equivalent of the chocolate and peanut butter combination of a Reese’s peanut butter cup. You get a good taste of that vocal exchange on the strong, opening “Leave No Traces”, on which the pair move from trading verses to harmonizing on the chorus to an intensifying call-and-response exchange that has Milner declaring “heaven doesn’t want me” as Bonfanti finishes the statement with “the devil doesn’t know who I am”, accompanied along the way by some punchy horns and a slick guitar solo from Bonfanti. 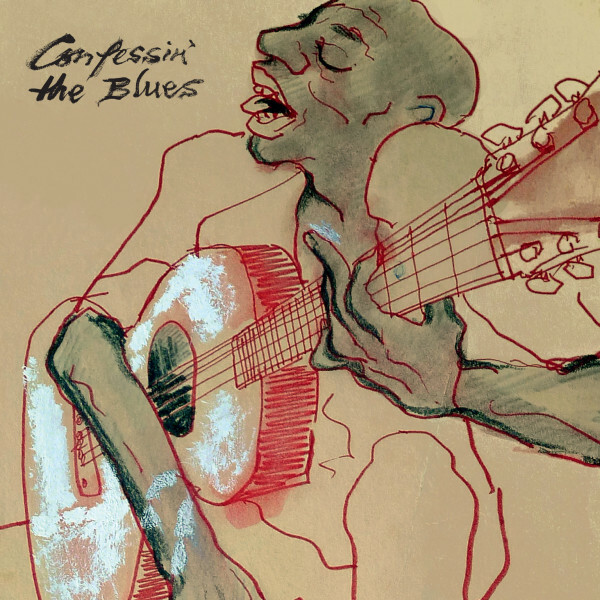 It’s voting day today, and that probably makes it a pretty good one to “elect” to listen to some blues, at least for voters in some races (as if anyone here needs an excuse!) Here’s the latest edition of our BluesPowR Radio Hour to help get you started, featuring music from one-time Pittsburgh, PA, voter, now Reigning Queen of Beale Street, Barbara Blue; John Mayall; Albert Castiglia; Doyle Bramhall II; Blind Lemon Pledge and more, proving once again that, no matter your political leanings, the blues is a party we can all rally around! 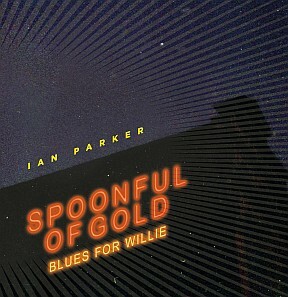 We hadn’t heard much about British blues-rocker Ian Parker before we caught a track from his new album on BBC recently, but that — plus learning that said album was a tribute to Chicago blues musician/writer/producer and “Poet Laureate of the Blues” Willie Dixon — was enough to pique our interest in the project. Parker isn’t, of course, the only blues singer/guitarist to pay tribute to individual blues legends in recent years, with a few earlier examples including Joe Bonamassa’s tributes to first Muddy Waters and Howlin’ Wolf and then B.B., Freddie and Albert King through his Muddy Wolf and Three Kings of the Blues concerts, respectively; Big Head Todd and the Monsters joining forces with B.B. King, Hubert Sumlin, Charlie Musselwhite, Ruthie Foster and others as the Big Head Blues Club to honor Robert Johnson and then, more recently, with Billy Branch, Ronnie Baker Brooks and Mud Morganfield to also pay tribute to Willie Dixon; and Walter Trout helping to remember Luther Allison through his Luther’s Blues: A Tribute to Luther Allison recording. Even though a few of the songs on Parker’s Spoonful of Gold are ones also covered on the earlier tributes from Bonamassa or the Big Head Blues Club (including, for example, “Evil”, “Spoonful”, “My Love Will Never Die”, and “The Seventh Son”), with Parker’s vocals at times even sounding pretty close to those of Big Head’s Todd Park Mohr while at other points evoking Davy Knowles (Back Door Slam), Parker delivers it all in an ambitious, engaging fashion. While the Big Head Blues Club relied in part on its guest performers to help provide some diversity in sound, you really have to give Parker credit for undertaking the effort alone with his band, who very much rise to the occasion and help create an impressive and memorable offering. Even if a few of these interpretations sound somewhat like stuff we’ve heard before, everything here is solid, with Parker & co. delivering perfectly commendable renditions of more familiar Dixon tracks like the opening gritty, rocking “Evil”; a “I Just Want to Make Love to You” that starts on some muted Led Zeppelin-ish licks and is then filled with subdued wah riffs; a creeping, eight-and-a-half minute “My Love Will Never Die” that includes pleading falsetto vocals from Parker; and the closing “Spoonful”. But the biggest highlights here may in fact be some of the less familiar Dixon numbers Parker tackles, such as the breezy, island-sounding “Mighty Earthquake and Hurricane” with its Spanish-style guitar, handclaps, and harmony vocals, a groovy “I Can’t Understand” (co-written with Los Lobos’ Cesar Rosas and recorded for the band’s 1990 album The Neighborhood) that has about as modern a sound as you can get for a Dixon song along with its yearning vocals, and the swaying, simmering rocker “Weak Brain, Narrow Mind”. In introducing the band on his recent recording paying tribute to the Three Kings of the Blues, Joe Bonamassa called fellow guitar-slinger Kirk Fletcher “one of the greatest modern blues guitar players in the world”, and one listen to that album and Bonamassa’s earlier Muddy Wolf tribute provides all the proof you might need that Fletcher has the goods to back that kind of statement up. 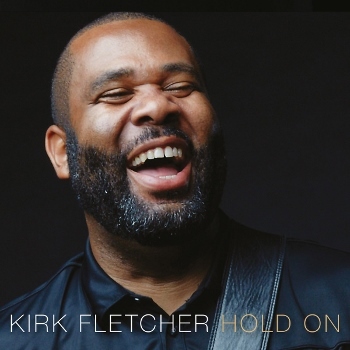 Stepping back to the center of the stage for his fourth solo studio album Hold On, Fletcher is even more superb, delivering not only the magnificent playing you would expect but some tough, seriously impressive vocals that put Fletcher in the same league as the likes of Larry McCray and the late Michael Burks. Joined by Jonny Henderson (Matt Schofield, Ian Siegal) on keyboards and Matt Brown on drums, Fletcher works his way through a set of eight terrific tracks that range from the slow, straight-ahead blues of “Gotta Right” (“to sing the blues”) loaded with stinging licks to the heavy, dragging rocker “Time’s Ticking” to such funky numbers as the soulful, Billy Preston-like, make ya’ feel good “You Need Me” and New Orleans-style instrumental “Dupree” with its cool, second line grooves.